SC loves seeing models on their off days because that’s when you get to see their true personal style. 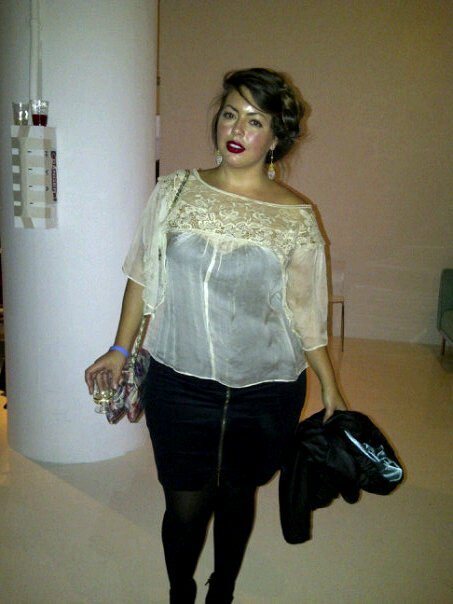 Whenever SC runs into plus size model Fluvia Lacerda she always looks stylish and chic. On Fluvia’s off days her hair is perfectly tousled, cheeks are rosy pink, and her eyes whether with or without makeup are bright as day. Fluvia embraces her curves on and off camera. At events when she’s just being Fluvia your favorite girl next door, she wears romantic draped tops with feminine details like ruffles or lace. Her creamy complexion is a match made in heaven for jewel tones and bright bold lips. When it comes to super casual days, Fluvia keeps things stylish even when she’s rocking something as simple as jeggings and a biker jacket or a denim shirt dress.